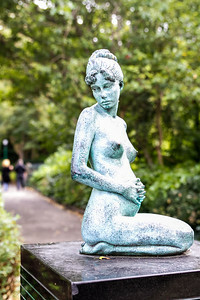 Los Angeles Photographer Kevin Gilligan photographs Dublin, Ireland. 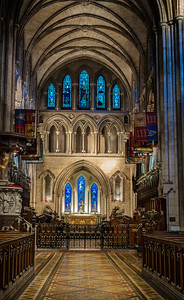 The main altar at the magestic St. Patrick's Cathedral, Dublin, Ireland. 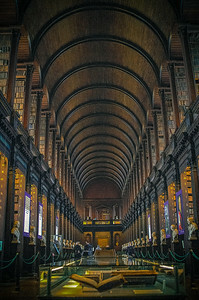 The Long Room at Trinity College Dublin is nearly 65 meters in length and houses 200,000 of the libraries oldest books. 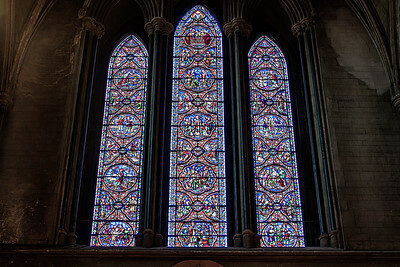 The ancient book of Kells (four gospels in Latin and written around the year 800) is housed nearby and is not to be missed on any tour of Dublin. 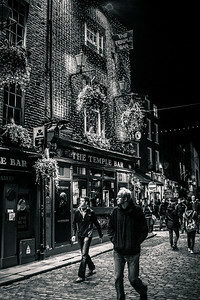 Temple Bar District, Dublin, Ireland. 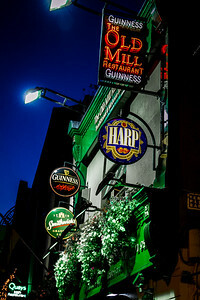 The Temple Bar District is a major center for nightlife in Dublin. The area retained its' medieval street pattern and cobblestoned streets. 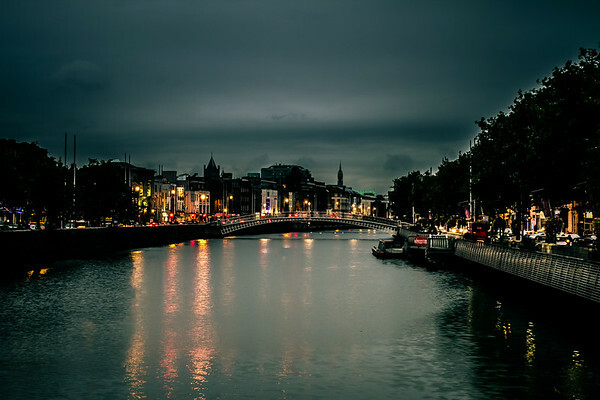 The area likely got its name from the Temple family, the first provost of Trinity College Dublin. 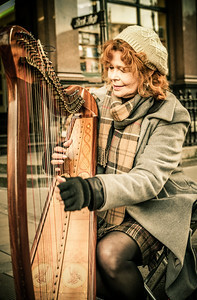 Harpist outside of Trinity College Dublin. Dublin has a beautiful City Hall built between 1769 and 1779. 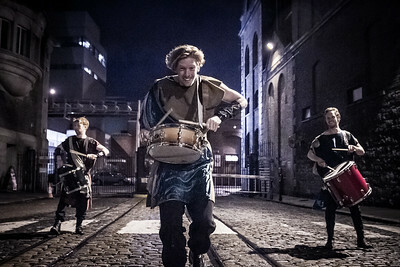 These lads greeted my group outside the Guinness Storehouse in Dublin. The drummer in the front is bending down, but he was about 6'6"! It was the beginning of a great night! 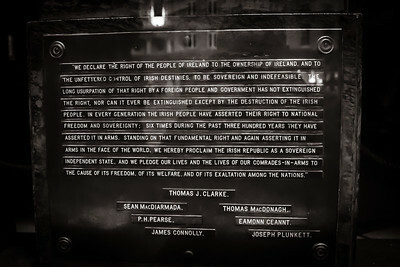 Selected text from the Easter 1916 Proclamation of an Irish Republic, read from the steps of the General Post Office in Dublin. 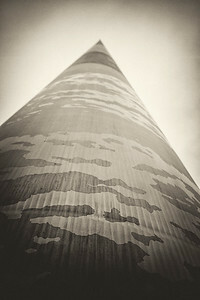 A 398 foot high spire on O'Connell Street in the center of Dublin. It was commissoned as part of a 1999 street layout resdesign. 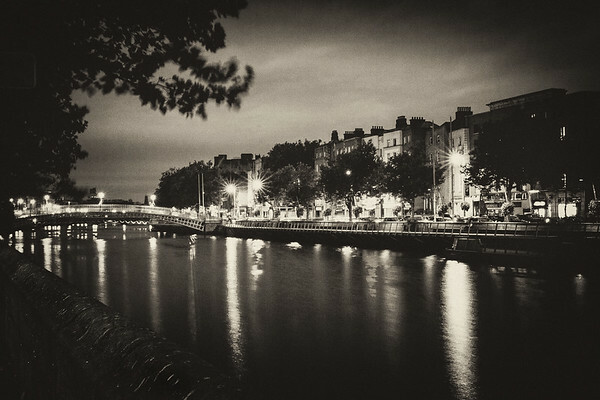 View of the Ha'Penny bridge over the River Liffe. One used to be charged a "Ha'Penny" to go over the bridge. 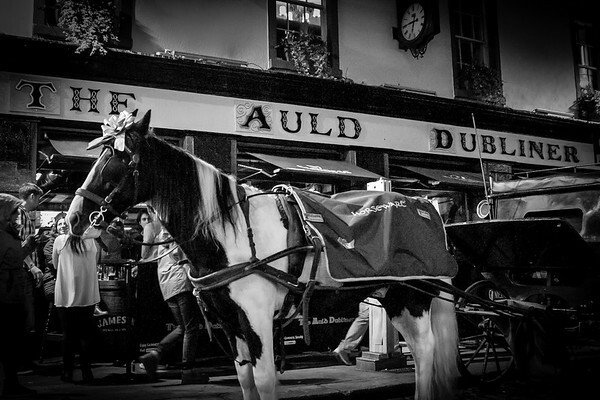 This horse drawn carriage waits for the next riders in the Temple Bar District. 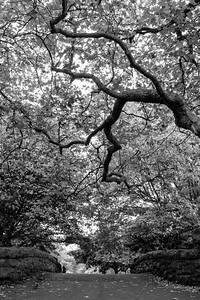 Dense foliage as seen from O'Connell Bridge in Saint Stephen's Green. Living in Southern California I don't often get to view much foliage. 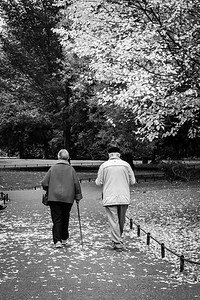 Really enjoyed being in Dublin in the fall! 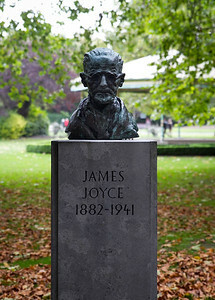 Met this gent in Merrion Square, next to the statue of Oscar Wilde. 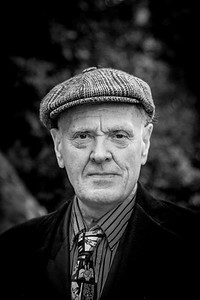 He is a professor of Irish literature and we had a great chat about Wilde and Irish history. 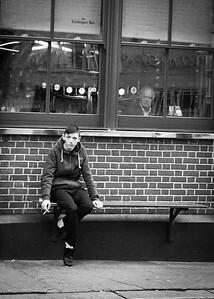 It was such a pleasant and memorable conversation, I pleaded with him to let me take a picture of him. 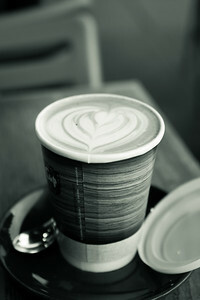 After a long day of walking through Dublin, I needed the pick up from this tasty latte. From a sidewalk cafe in Dublin. 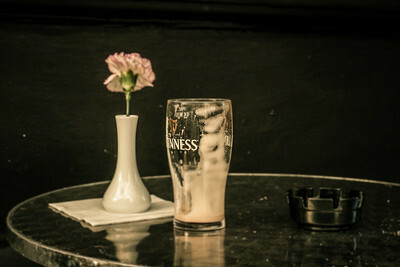 It wasn't my Guinness, honest! 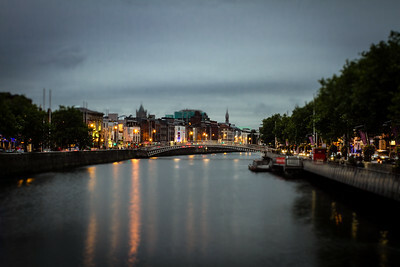 Built in honor of Ireland's patron saint, Saint Patrick's Cathedral is adjacent to the famous well where tradition has it Saint Patrick baptised converts on his visit to Dublin. The massive and gorgeous cathedral was built in 1220! This image is timeless to me. 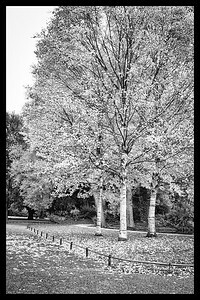 Although I took it in 2013, it looks like it could be from the 1940's. 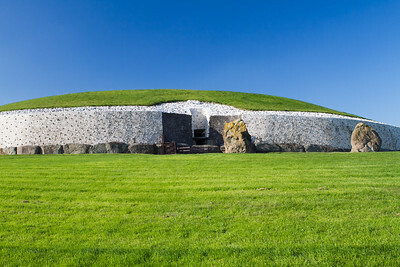 Newgrange is an ancient temple constructed over 5,000 years ago (about 3,200 B.C.). 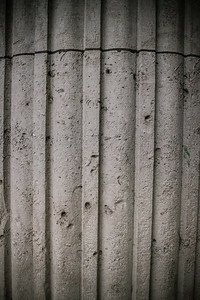 It is older than Stonehenge in England and approximately 500 years older than the Great Pyramid of Giza in Egypt. It is located in the Boyne Valley and has been designated as a World Heritage Site by UNESCO. Newgrange is known for the almost magical illumination of its passage and chamber by the winter solstice sun. This is a remarkable achievment considering the time when it was built. 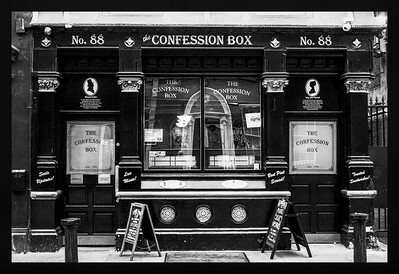 Lots of choices to quench your thirst in the Temple Bar District. 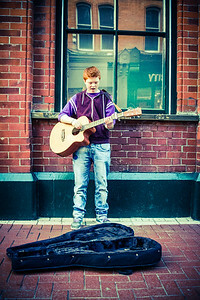 One of the things I love about Dublin is that there is music everywhere! My musician wife has me in the habit of giving money to street musicians. I could go broke in Dublin! 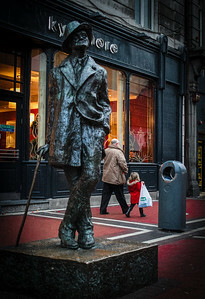 Dublin exhaults writers and there are statues of writers, like this one of James Joyce, throughout the City. 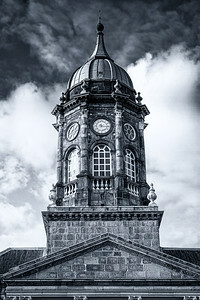 The General Post Office (GPO) in Dublin is situated on O'Connell Street, the City's main thoroughfare. During the 1916 Easter Rising, the GPO was the headquarters of the leaders of the uprising, all of whom were subsequently executed. The building still has bullet holes.